Copyright (c) ERYICA. All rights reserved. 5 April and December 2012. The activities listed above as well as the Facebook page, the Facebook photo competition and the website were coordinated centrally by ERYICA. competition theme received the opportunity to go on a trip to the European Youth Centres of the Council of Europe in Strasbourg and Budapest. In the campaign, a group of young people, coming from different countries was created to jointly reflect on the reality of young people and the situation of Youth Information in their local realities. The so-called Youth Ambassadors had an important role in spreading the message for youths’ right to information as well as using their capacities to contribute to society’s development. They were the Campaign’s spokespeople who were actively advocating for the right to information among youngsters, decision-makers and media. By enhancing open attitudes towards different cultural experiences, they were also strengthening the cooperation between youngsters coming from different parts of Europe. during the campaign, over 120 activities took place in 29 countries. these events were as big as a conference for hundreds of people or as simple as raising awareness by including the campaign on an info-day leaflet. find below a selection of events that happened throughout the year across europe. youth information and the campaign at their General Assembly. They hope to join forces with the partners of that network for information and promotion on the access of children and young people to their rights. Facebook Page Information – jetzt erst Recht! and Photo Competition Junge Leute fragen In addition to launching the European Photo Competition on 16th of May, also the launch of an Austrian competition took place. Young people were asked to send their personal question mark – anything goes as long as the symbol is on the photo! The competition was held on the Austrian national Facebook page for the campaign, which was also launched on that day and developed with discussion and quizzes. The most liked Austrian entries of every month was uploaded to the European competition. Infomaton – 17th April-31st December In the ‘infomaton’ young people could enter the cabin and answer, facing a video camera, to few questions in link with their right to information and their usual practice to find information. The infomaton was on display and open to the public in places such as train stations, streets, festivals, etc. A local tv reportage was aired about the launch of this event on 17th April 2012, including an occasion to speak about ERYICA. youth worker and those asking for information or assistance. As such, they introduce a new form of outreaching social work. On the other hand, youth advisors receive extra tools to inform and support their peers. The use of young people in social care, education and prevention is called the methodology of peer education. Because of the campaign Information Right Now!, In Petto wanted to do something with the Youth Advisors to show how important Youth Information is. On the last day of the weekend, all the Youth Advisors gathered together to make a picture in the shape of a question mark. In total 35 Youth Advisors took part in the weekend. Youth Information Day which is celebrated in European Union for more than 25 years. The fair was, due to the bad weather conditions, held on 30th of April (instead of 17th of April) with the participation of 15 different exhibitors from the city of Vukovar. held on 9th of May of 2012 from 10:00h until 13:00h. Among the activities, apart from the campaign, there was a promotion of other activities for young people from the city and from the countryside. ‘EU street jam’ had 20 organizations and institutions participating and 200 visitors. 3 treasure hunts took place: •	Larnaca Treasure Hunt – Saturday 12/05/12 Larnaca Youth Information Center •	Limassol Treasure Hunt – Saturday 26/05/12 Multifunctional Youth Centre in Limassol •	Agros Village Treasure Hunt – Sunday, 5/08/12 The event in Larnaca was attended by 15 youth groups (5-7 persons per group). The groups were going through questions and puzzles of the game in order to learn more about their city and its hidden treasures. Other goals were for young people to learn about the opportunities that are available to them and in addition to spend a pleasant afternoon with other peers. Treasure Hunts – 12th May-5th August Treasure hunts were initiated in cooperation with the National Agency of the Youth in Action programme. The purpose of the events was to disseminate information through questions and riddles etc. – so, learn by having fun. Campaign t-shirts were printed for this activity. 13 which were mainly aimed for the cooperation between players of each team. The winner team, ‘The Rebels’ were offered a prize of 500 Euros, while there was a draw with gifts for the other participants. Youth Center of Larnaca would like to express special thanks to its sponsors, to the International Centre for Sports Research and Development for the excellent preparation of the hunt as well as to the Volunteers of the Youth Center for their valuable help. The event ended with the renewal of appointments of all for the fourth treasure hunt that will hopefully take place next year. Facebook Game – 17th April Every week NIDM posted a photograph of the interior or exterior of one of the 17 regional youth information centres on Facebook, and people had to try and find out which centre it was. The game was launched on 17th April and small prizes were awarded. information about the Information Right Now! campaign, as well as Youth Information Centres. The topics could be found on the websites of the Youth Information Centres. Whoever found 5 Infocaches and answered the questions on them had a chance to win a free return bus ticket to every European destination an international bus company is offering. The runner-up received a digital photo camera. NIDM also had another special prize (digital camera) for the person who found and answered the most Infocaches. work for youth workers, teachers and other actors in the youth field, and it is published by the Finnish Youth Co-operation – Allianssi. Oulu South area (Oulu South is a network between subregions in the southern part of Northern Ostrobothnia). 16th April: The campaign was one topic in Yle radio’s local channel Central Ostrobotnia (Yle is Finland’s national public service broadcasting company). 16th April: The campaign was one topic among others on Radio Pooki. 18th April: an article about the campaign in the newspaper Kalajokilaakso was published. young people, made by young people. It’s distribution is 12 000 copies. Curly is distributed free of charge to schools around Finland, to subscribers and the libraries of city of Helsinki. Hobby Days at Oulunsalo – 5th May ‘Hobby days’ at Oulunsalo House: the campaign was presented at an info stand with the Youth Information and Counselling service. Europe Day Event In Raahe – 8th May A Europe Day event was organised by the local Youth Information and Counselling Service Nasta in Raahe, Finland. An info stand with information about the campaign, posters and a chance to make campaign badges was put up. Question Mark Photo Shoot and Film Ticket Raffle – 16h-31st May The Youth Information and Counselling Point yESBOx in Espoo was encouraging young people to take question mark photos before the summer holidays. They had a photo exhibition on their own Facebook page and the pictures also participated in the European-wide photo competition. The YI service raffled film tickets among those who submitted photos. National Bulletin – 27th September A National Bulletin was sent out by Koordinaattii to its members and stakeholders, informing them about the Information Right Now! campaign. Question Mark of German Youth Information Services The German Youth Information Services joined forces to make a statement for the right of young people to information by creating a virtual, common question mark. people to ask questions on topics that interest them by sending these free postcards to the Youth Information Centre. Answers to questions on completed and returned postcards were published on CIJ’s homepage on 30th May. 21 Youth Ambassadors Training Session Young people aged 18 to 23 years coming from 13 different countries came together to jointly reflect on the reality of young people and the situation of youth information in their local realities. The final goal was to have them acquire knowledge, abilities and skills in order to become young ambassadors and spokespersons for the Campaign on youth’s right to information. The training which was funded by the Youth in Action Programme took place in Marsaxlokk Youth Activity Centre, Malta, and was facilitated by trainers from the ERYICA membership, namely Julie Menšík Čákiová from NIDM, Czech Republic, Matjaz Medvesek from MISSS, Slovenia and Pepe Herrera from Solna Unginfo, Sweden. Meetings with the Presidents oft he Municipality Councils – 17th April On April 17 2012, marking the European Day of Youth Information, the Coalition of youth organizations SEGA along with the Youth Information and Counseling Center INFO SEGA organized a meeting for youth with the President of the Council from Municipality of Prilep in the great hall of the library ‘Borka Taleski’, Prilep starting and officially launched the European campaign Information Right Now!. About fifty young people have met the President of the Council of the Municipality of Prilep, Mrs. Gordana Miceska, and representatives of the Commission for Social Activities and Children’s Rights, as key institutions within the decision-making at the local level. The purpose of this meeting was to inform young people about the work of the municipal council, to meet with the President of the Council and to get to know what their role is in decision-making. macedonia f.y.r.o. action for donated clothes to help four socially disadvantaged families. This event was organized in good cooperation with the Center for Social Work and their role in this event was to find four socially disadvantaged families which were in need of help. Also, the representatives from youth organizations had a chance to meet social workers from this institution, to discuss with them and to learn what kind of services for youth they are offering. In this activity the Youth Information and Counseling Center INFO SEGA also contributed with a donation of clothes by young people. The action for collecting clothes was held in the high school Gorce Petrov in Prilep, where high school students donated clothes for all ages to help socially disadvantaged families. Young People Are Asking!! We must help our planet, if we want to live more. We have to love it – Χριστίνα television ‘TV Channel Vision’ helped in making the video. This event was also supported by the youth online radio ‘Pulse’. Youth Event Knowledge and Sport among Young People – 30th June On 30th June, 2012, at the Park Mogila in Prilep, the sport and music youth event was held under the motto ‘Knowledge and Sport among Young People’, organized by the Youth Information and Counseling Centre INFO SEGA in cooperation with the Youth Council Prilep and the Youth Multicultural Community, supported and financed by the Local Municipality of Prilep. The happening offered to young people good music and the opportunity to participate in different tournaments in football, basketball, volleyball and badminton. The event aimed to encourage young people to do sports and to promote a healthy lifestyle. receive information. High school students met with the assistants of the project ‘Open Office for communication with citizens’, and through the presentation and discussion were informed about the services and work on this project. Right Now! – Young People Are Asking were held at the Youth Information and Counseling Center INFO SEGA. Young people were informed about the campaign and also got to be familiar with the services of INFO SEGA. The high school students had the opportunity to openly ask and talk to the assistants about their daily work, how they are assisting and helping citizens, working hours of the office, support for youth initiatives, the ways how youth can easier reach out to the institutions, what their experience is so far to help young people, the ways in which they can reach them, the needs of young people and how they could contribute to the project work, etc. The event aimed at making young people more familiar with the campaign goals, events and activities that INFO SEGA has conducted. Visitors also had the opportunity to meet young volunteers from INFO SEGA who were directly involved in this Campaign and shared their positive experience. Over 30 young people visited YIC INFO SEGA during the Open Info Days. two TV interviews in the popular TV shows on public stations, radio and television of Montenegro – ‘Montenegro unplug’ and TV Vijesti – ‘Colours of the Morning’, in the daily newspaper Pobjeda, on the portals Vijesti, Café del Montenegro, Vijesti News Montenegro, Analitika, and on sites of the partners in the campaign. montenegro rights of consumers, environment, culture. As a part of this activity one focus group was realized with a group of students from the faculty for Political Sciences, Department for Social Work. The students had a chance to ask questions from different areas. 12 students participated in the focus group. from 6 towns (Podgorica, Nikšić, Herceg Novi, Risan, Bar and Berane). 12 persons participated: 2 persons/volunteers – the organization Green Home, 1 person/volunteer – the organization Juventas, 1 person/volunteer – the organization Infomladi Montenegro, 1 person/volunteer – the organization Svetionik from Bar, 3 employed persons in CIPS – from 3 towns, 2 persons from Youth Counselling in Hospital centres (Podgorica, Herceg Novi), 1 person/ pedagogue – High School ‘Slobodan Škerović’ Podgorica, 1 person/teacher – Primary school ‘Veljko Drobnjaković’ in Risan. The aim of the training was raising awareness of the participants on the importance of quality Youth Information and fostering cooperation among relevant youth services. Youth Information Fairs in Rotterdam – 5th May-1st July 5th May 2012: The Youth Information Fair in Rotterdam took place during the National Liberation Day Festival. The festival offered a great programme full of debates, workshops, children’s activities and plenty of music. performances from all over the world in the Park near the Euromast. JIP Rotterdam took pictures for the campaign with the theme: ‘Young People Are Asking’. 1st July 2012: The Youth Information Fair in Rotterdam took place during the Metropolis Music Festival. Metropolis is the place to be for national and international upcoming talent to show the world that they are future stars! JIP Rotterdam also took pictures during all event for the Campaign with the theme: ‘Young People Are Asking’. Meetings with the Presidents oft he Municipality Councils – 17th April Eurodesk Poland Competition and Promotion Activities Eurodesk Poland conducted competitions via a special application on their homepage and the Eurodesk Facebook fanpage. Every week at the same hour they asked a question and once a month a monthly task was announced. The tasks and questions were about youth issues and one of them was youth information – it was the topic of May. The competition’s questions were about the goals of the Information Right Now! campaign and youth information systems in Europe. poland Perfect way to find the information you need – just talk with other people... – Hristina can also read about ERYICA and Information Right Now!. 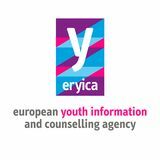 There is also an interview with Davide Capecchi, Director of ERYICA, in the quarterly ‘Europa dla aktywnych’ (Europe for Active People) which has 7000 issues per edition Eurodesk Campaign Workshops There were workshops conducted by Eurodesk relays in more than 20 Polish cities, for youth aged 17-25. The workshops’ target were not only to inform, but also activate youngsters, show them what they can do at local, regional and European level and how to do it. 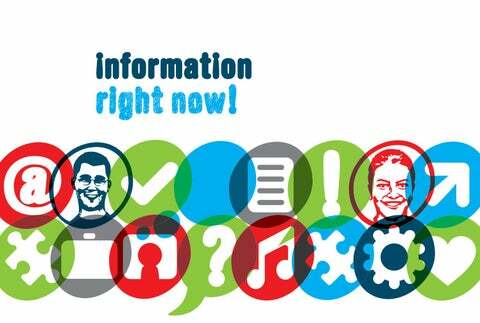 During the workshops the Eurodesk Poland relays promoted youth information and the Information Right Now! campaign. Other topics of the month in this project were: unemployment, solidarity between generations, non-formal education, structured dialogue, language diversity. Eurodesk Poland has more than 1050 Facebook fans. Most of them are youth and youth organizations who hopefully, by taking part in the competitions, forward the Eurodesk Poland messages. The project is also promoted via web page and newsletters, so the message goes to another few thousands subscribers. As young people increasingly see the value of youth information systems, Eurodesk Poland hopes that some of them will demand and help to create such a system in Poland. Press Conference about Campaign Launch in Ljubljana – 17th April Informacija – pravica mladih! is the campaign slogan localized in Slovenian language. Activities started with the press conference in Center Evropa Ljubljana, a Conference center for European Policies and Projects. The conference was organized by MISSS in cooperation with the National Youth Council and the Government Communication Office. contest ‘Information available to the Youth’ aimed to capture in a creative way which information services and activities are provided for young people in the region. The government of the autonomous region of Castilla La Mancha issued a newsletter about the IRN campaign and the Youth Information Day. Furthermore, a survey on youth information was conducted by the young correspondents Youth House at Stan. Castilla la Mancha: The Youth Information Centre of the Albacete City Council celebrated European Youth Information Day with various activities and actions such as information services (ICJ, Eurodesk, Europe Direct, European Volunteering Service, ...), or the mounting of a giant jigsaw puzzle of Europe. The C.I.J. belongs to the Eurodesk and Europe Direct. among all people who visited the Youth Information Office, or subscribed to the weekly digital newsletter. Eurodesk Assembly in Mollina Eurodesk Network and Red Sij Network (Injuve Spain) took a question mark photograph in an environment of working groups of improving the youth information in Europe at the Eurodesk Assembly in May 2012. The meeting was held in Mollina (Málaga), and was attended by more than 30 people from all over Spain. The intention of the photo is to represent a nod to the people of Eurodesk working in the Internet-Sikh Injuve ERYICA Spain. Street Art and Youth Event in Solna – 9th May On the same day, a presentation of the Campaign in the Town Hall for politicians, multiplayers and media took place and at Solna Youth Centre a Street Art and Youth Event was organised for young people to learn about the Information Right Now! campaign. Solna Youth Festival – 14th-16th May Information and promotion activities for the Campaign were organised during the festival in Solna. took place at the Swedish Eurodesk network conference. The network members were truly interested about the development of the Campaign and especially impressed with the Youth Ambassadors. The Swedish Eurodesk network will try to reproduce the Youth Ambassadors concept on a national level. The idea is to gather 40 young people (2 from each local Eurodesk office) and offer the possibility to get more knowledge, skills and contacts, in order to promote youth information in general and the Swedish Eurodesk network in particular. Signing of European Youth Information Charter & Question Corner – 17th April CLIC was coordinating Wales’ part in celebrating European Youth Information Day and the launch of the Information Right Now! campaign. CLIC celebrated European Youth Information Day by holding an event entitled CLIC: Information Right Now on Tuesday 17th April at the Welsh Millennium Centre in Cardiff Bay. At the event, CLIC signed the ERYICA European Youth Information Charter on behalf of the Welsh Government. Deputy Minister for Skills, Mr Jeff Cuthbert AM, was the guest-of-honour for the day. He said: ‘Young people need accurate, up to date and accessible information to make informed decisions in their lives. I am therefore delighted that CLIC on behalf of the Welsh Government has signed the European Youth Information Charter which will put in place minimum standards and quality measures in the provision of information for young people.’ The event was entertaining as well as educational, with performances by young Welsh acts such as Cathays Bboys and The Kix and a range of creative workshops and information sessions. on 16th may 2012, a series of concerted actions regarding the information right now! campaign took place in dozens of countries. a common date was chosen to increase awareness of the campaign, to showcase the variety of issues the campaign deals with and give a deeper understanding of the different realities youth information workers operate in. find below a selection of activities from pan-european campaign action day. Salzburg Goes Question Mark – 16th May On the European Action Day of the campaign the YIC Salzburg was decorated with big question marks and QR-codes leading to Austria‘s national facebook-site Information – jetzt erst Recht! to raise awareness for the right of young people to good quality information. Humour Meets Youth Information – 16th May This May 16, around 12:30, a dozen actors and actresses and DJs were in Place d’Armes in Namur to interpret, in an exaggerated and humorous manner, young people seeking information. They resonated with young passers-by to find together a place that would contain all the documentation and information answering their questions. Youth Information Fairs in Zagreb and in Osijek (‘iMOS’) were organised on the occasion of the Pan-European Campaign Action Day in Croatia in order to inform the public about the benefits of youth information and its importance in enabling young people to access their rights. The Youth Information Centres in Cyprus organized the following events for the PanEuropean Campaign Action Day on 16th of May 2012: The participants in the workshops of Limassol’s and Pafos’ Multifunctional Youth Centres created question marks under the guidance of the art teachers. participants were children and some of their questions were existential while others were more straight-forward. For example: ‘Why are there not enough recycle bins?’, ‘Why are there hooligans?’, ‘Why are there trees?’, ‘How many years did God live?’. In Pafos, young people created several banners with big question marks. There were also volunteers who informed young people through educational games about their rights based on the Convention on the Rights of the Child. prepared, as well as free colour sprays for young artists and of course a DJ with hip hop and rap music during the day. The Youth Information Centre in city Prostějov www.icmprostejov.cz organised an activity for Pan-European Campaign Action Day where they sent out a template of paper cubes to different organizations (school, youth clubs, leisure time centres, etc.) in their city, and asked young people, to make a cube and write the questions they have on them. Every 5th person who brought cube with a question to their Youth Information Centre received a 4GB flash disk with information materials for free. On 16th of May, young people built several question marks with these cubes. They are going to use the cubes also in other activities of the Youth Information Centre. Youth information workers tried to answer some questions relevant to their work, and they will also put all questions and answers online. 43 Hodina H, in cooperation with the Youth information Centre Pelhrimov, organised a campaign event in the streets of Pelhrimov with the information stand at the square on 16th May 2012. There were information stands placed in the schools and at the same time there were workshops to the topic of youth information in the other cities in the Vysocina region. The volunteers and young people were giving to the young people information leaflets, informed about European Day of Youth Information and the Information Right Now! campaign, about the youth information system, as well as information and services in the Youth Information Centers. They also tried to get attention with the mottos written on big transport signs and other dynamic activities in the framework of the campaign. This event was held in Pelhrimov, Humpolec, Moravske Budejovice and also in Jihlava. The Pan European event in Oulu took place at the occasion of the annual meeting for children and young people will be organised by the city of Oulu. In the meeting, young people and children came together to discuss and make decisions on different kinds of matters to develop and improve their surroundings. Koordinaatti centre presented the campaign at the meeting and also organised a question mark photo shoot with the children and young people. One of the Information Right Now! Youth Ambassadors of Finland presented the Campaign to the audience. In Raahe, the Campaign was visible continuously in youth houses and young people could make Campaign badges there. On 16th May, young people were forming a question mark for the Pan-European Event. In Espoo city, young people could come to the YI point yESBOx and take their own question mark photo. it had been up until last year). If renovation measures are not taken in due time, it will not be ready for the summer season which is rapidly approaching. The Folklore steps situated in a marvellous setting near the Ancient Borgo and Port are one of the icons of the Termolisian summer and at the moment they are lying in a heap of ruins. italy has its motivation in the question we should ask ourselves concerning Termoli: ‘Why hasn’t anyone taken care of repairing the Folklore steps which suffered the damages caused by the heavy rain and snow, which took place in the previous months. Why are they doing nothing?’ The initiative has produced a lot of enthusiasm among the students and it has allowed them to focus their attention on the places surrounding them that need renovation work. ‘We had also thought of taking photos of different neglected or poorly maintained places in the town, places such as the town swimming pool, the park and the coach terminal’, continues Valentina. ‘Even the promenade along the beach should be made more attractive for us as young people’. taken part in many international competitions. They are also cooperating with AIM Association who has proposed this last competition. ‘This was a simple, straightforward, pacific gesture to communicate first of all to the citizens and then to the local authorities, in charge of youth matters, that information must be accessible to everyone. The generation gap does not frighten us, above all it is interesting to remind our readers that the year 2012 is dedicated to ‘Active Aging and Solidarity Between Generations’, Valentina adds. ‘We sincerely hope that someone will listen to our new generation, because the European theme of this year aims at focusing the attention on the fact that every age range is not in competition with one another. It was marvellous to act together and to communicate deep concepts concerning Termoli using only the image of the human question mark without the utterance of any words’. 47 INFO SEGA realized the Pan-European activity â&#x20AC;&#x2DC;Design Question Marks with Youthâ&#x20AC;&#x2122; within the campaign Information Right Now! On 16th May, the designing of question marks with young people was organized by the Youth Information and Counseling Centre INFO SEGA in collaboration with the elementary school Blaze Koneski in Prilep. At the elementary school Blaze Koneski 60 primary school students were included who prepared in a creative and original way a big question mark with smaller pieces of the question marks where they asked questions of their interest. The purpose of this event was to raise awareness of young people for the right to information and in a symbolic way to explain the question marks which were intended to symbolize all the issues that youth have in Europe today. macedonia f.y.r.o. This event was followed by the media and the fact that many young people next day visited the Youth Information and Counselling Centre INFO SEGA speaks for the interest that was caused by the general public and youth. The Centre for Education and Development in Tearce also supported this Pan-European activity within the Campaign. The event was held in the secondary school in Municipality of Tearce, where young people creatively prepared a question mark and had an opportunity to write questions concerning youth in three different languages (Macedonian, Albanian and English). 25 young students and volunteers who exhibited CED question mark in the centre of Tearce participated in this event. organised (in primary and high school, in the offices of Youth Parliament and in the office of the Youth Council) so everybody could read what was written and discuss the question regarding information that is often lacking for young people in Ohrid. Also the Youth Club, Shtip supported the PanEuropean activity. In the center of Shtip, an Info Day was held by setting up a stand where young people had an opportunity to learn more about the European campaign and had the opportunity to write down questions of their interest. The event was covered by local television and lasted two hours. Young people were asking different questions and expressed interest in different topics. The theater event ‘Lets Be Equality’ was organised by Forum MNE and the new youth organizations Vive l’art, UM RAE and Mladi Boke zajedno. Eleven young participants were up on stage. They used the occasion to build a question mark, representing all questions from young people in Montenegro. On 16th of May, JIP Rotterdam designed a question mark with young people, who are students at the Albeda College in Rotterdam. DNMAC Young Broadcasting interviewed the youngsters about their right on Information. Furthermore, a Guerilla Action for Pan-European Campaign Action Day was organised: JIP Rotterdam designed and installed a new traffic sign, leading the way to the Youth Information Centre. On Pan-European Action Day MISSS successfully conducted an Information Right Now! campaign event on youth’s right to information in cooperation with young people. Young people formed a question mark with their bodies in the middle of Prešeren Square in Ljubljana. The Campaign was also accounted next day in the Youth Market 2012. It was introduced to Mr. Žiga Turk, Slovenian minister of Education, Science, Culture and Sports and Mr. Peter Debeljak, Director of Office for Youth. Pan-European Campaign Action Day was celebrated also in two locations on Mallorca. Youth politicians, general directors and the major of the village, some youth information workers and 100 young people from the different schools of Felanitx in Mallorca gathered fort he occasion. The Youth Information Center of Palma, called Palmajove, showed the youth from Ramon Llull Institut and posed for a question mark picture. Young dancers performed a short choreography in central locations in Stockholm, ending the dance forming a question mark. A video oft he activity can be found online. facebook photo competition: how to! Category 1: Winner by the number of votes. The overall winner of the competition in that category was the picture with the highest number of votes until the end of the competition on 31st August. The prize consisted of a trip to the European Youth Centre Budapest (travel plus two nights accommodation for one or two persons). Furthermore, every two weeks one winner with the highest hike in number of votes in that time frame was rewarded with an Amazon voucher worth 100,- €. Category 2: Winner by decision of a jury consisting of the Youth Ambassadors and ERYICA (50/50 power division) for the best picture portraying the overall theme of the Competition. The winner received as a prize a trip to the European Youth Centre Strasbourg (travel plus nights accommodation for one or two persons). The jury also decided on the special theme of the month and the respective winners received an InterRail Global Pass. Conclusions & Results The Campaign, with its broad success by terms of activities and involved public, users and opinion makers, showed a great deal of interest on enhancing, expanding and spreading youth information as a mayor transversal policy tool, particularly needed in times of crises to support young people in their - now more than ever difficult decision processes. This is particularly needed in a ever-changing and more and more complex society that offers an increasing range of opportunities for studying, working, leaving and building oneâ&#x20AC;&#x2122;s personality and life. To match these increasing compelling need ERYICA, the Council of Europe and youth information and European counselling structures committed to prepare, as a follow-up of the Campaign, a kit on how to better inform young people on their rights and to use it to support them in their challenge of building a better future for themselves and to better find their righteous role in the society.